Grand Prairie was the seventh-largest city in Alberta in 2016, and one of Canada’s fastest growing cities between 2001 and 2006. 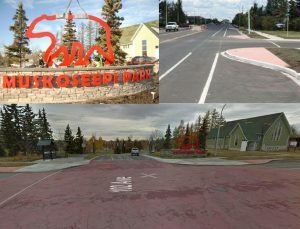 In early 2010, The 102 Street Redesign Feasibility Study was completed for the City of Grande Prairie’s first Complete Street project. The plan focused on the section of 102nd Street between 102nd Avenue and 108th Street, and was introduced following similar upgrades to the northern section of the street between 108th Avenue and 113th Avenue. Located just north of downtown and adjacent to Muskoseepi Park, 102nd Street provides access to adjacent residential neighbourhoods, various amenities, and the park’s many recreational opportunities. The paved surface of the street is over 30m wide, offering two vehicle lanes in each direction and parking on both sides. Pedestrian and cyclist amenities are scarce. “Implement complete streets policies to provide safe and convenient travel for all users of the roadway (pedestrians, cyclists, transit users, motorists)” (Walking). 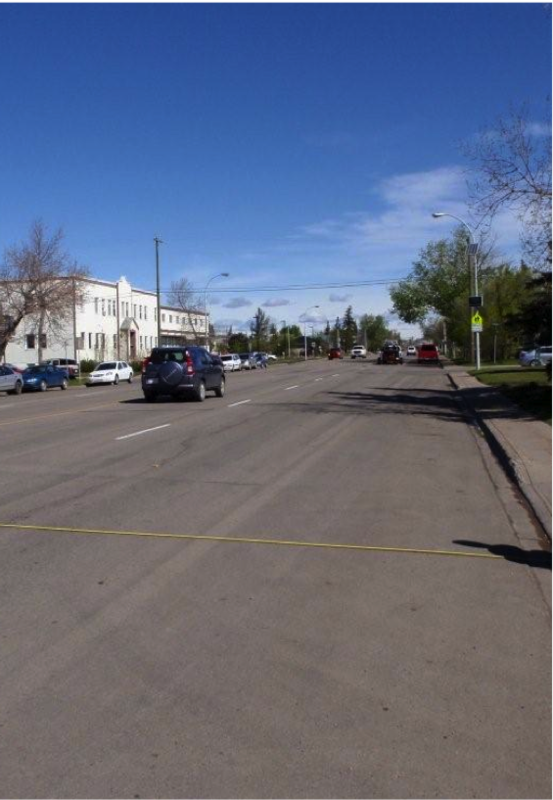 In 2010, Grande Prairie implemented an intersection upgrade on 102nd Street that is profiled as an example below.